Bruce performed the song 46 times, ( including snippets ) frequently performed over the years, mostly during his off-tour club appearances. Also used as a snippet in twist and shout, E-street shuffle, A love so fine, shout, quarter to three. Starting from 1976, Having a party became one of Bruce Springsteen most performed songs during his off-tour club appearances, typically with Southside Johnny at The Stone Pony in Asbury Park, NJ. 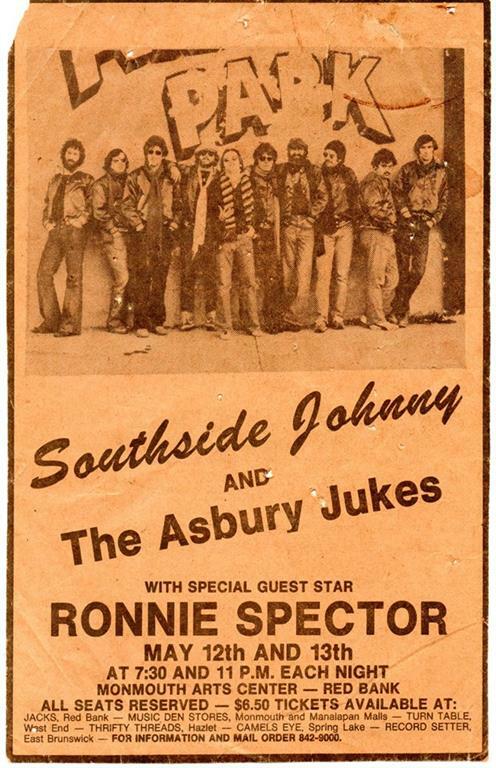 During "A Love So Fine" and "The E Street Shuffle"
This was Southside Johnny & The Asbury Jukes' first concert with major public exposure, hosted by Philadelphia radio station WMMR-FM and broadcast on syndicated stations throughout the northeastern U.S. This was effectively a celebration of the recent release of Southside's debut album I Don't Want To Go Home. Steve Van Zandt, who's the album's producer, was onstage playing rhythm guitar for most of the show. 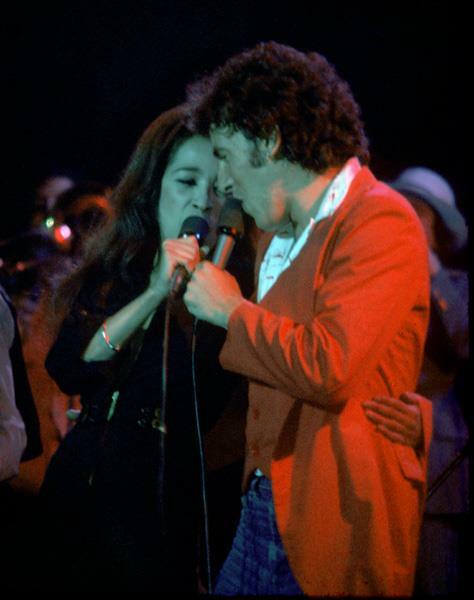 Several guests took the stage during the show, including Lee Dorsey, Clarence Clemons, Max Weinberg, Ronnie Spector, and Bruce Springsteen who joined in for the final song, having a party. 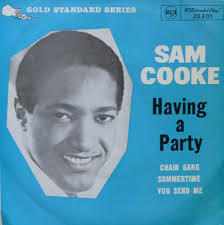 "Having a Party" is a song by American singer-songwriter Sam Cooke, released on May 8, 1962 by RCA Victor. Produced by Hugo & Luigi and arranged and conducted by René Hall, the song was the A-side to "Bring It on Home to Me". "Having a Party", like its B-side, "Bring It on Home to Me", was written while Cooke was on tour for Henry Wynn. While in Atlanta, Cooke called co-producer Luigi Creatore and pitched both numbers; he was sold and booked an immediate recording session in Los Angeles scheduled for two weeks later. The session's mood "matched the title" of the song, according to biographer Peter Guralnick, as many friends had been invited. "It was a very happy session," recalled engineer Al Schmitt. "Everybody was just having a ball. We were getting people out there [on the floor], and some of the outtakes were hilarious, there was so much ad lib that went on." "Having a Party" was recorded first, as it was the "lighter" of the two songs, and it was completed in twelve takes. Hall assembled an eighteen-piece backing group, "composed of six violins, two violas, two cellos, and a sax, plus a seven-piece rhythm section that included two percussionists, two bassists, two guitars, and a piano." Lou Rawls, former Keen assistant A&R rep Fred Smith and J.W. Alexander join in to provide backing vocals and handclaps to the chorus. "Having a Party" became the closing song of Cooke's live performances from the time it was recorded to his death. These concerts would typically end with all other acts joining Cooke and company onstage, throwing confetti while Cooke worked the audience to "keep on having that party" after the show is over. A version can be heard on Cooke's posthumous live recording, Live at the Harlem Square Club, 1963. Luther Vandross covered the song during the bridge on his 1982 hit "Bad Boy/Having a Party"; however, only the chorus is sung in this version, and new words were added to it . 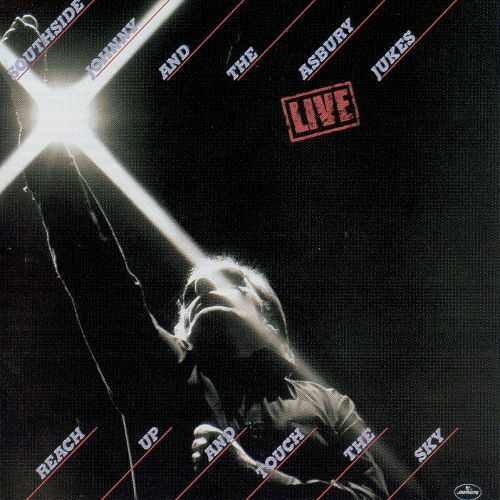 Southside Johnny and the Asbury Jukes covered it on their live album Reach Up and Touch the Sky (1981), and in 2016 still include it in their setlist. Play that song called "Soul Twist"
Play that one called "I Know"
Don't forget the "Mashed Potatoes"